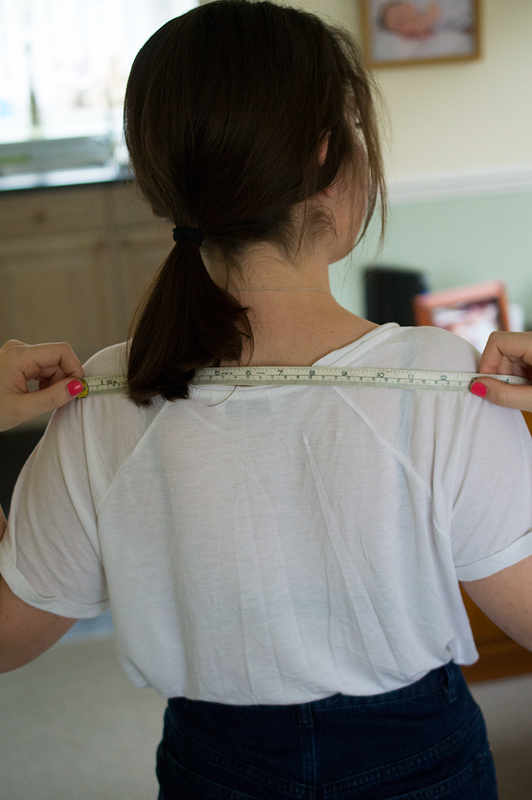 1) Measure the width between your shoulders and add 20cm. 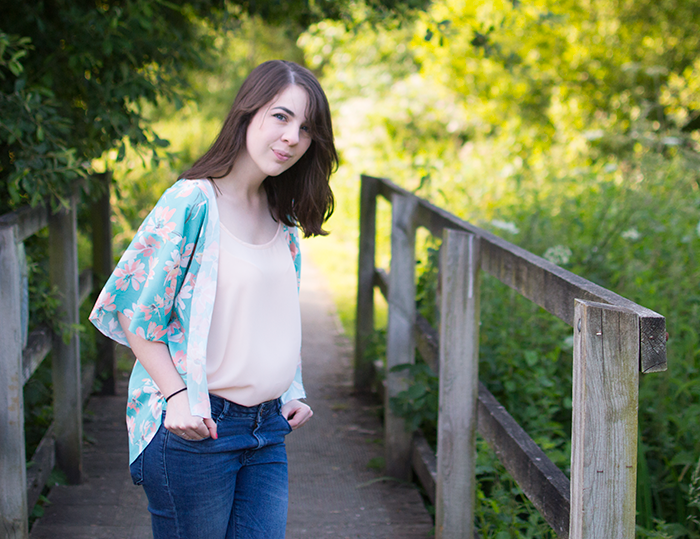 Then measure how long you want your kimono to be. 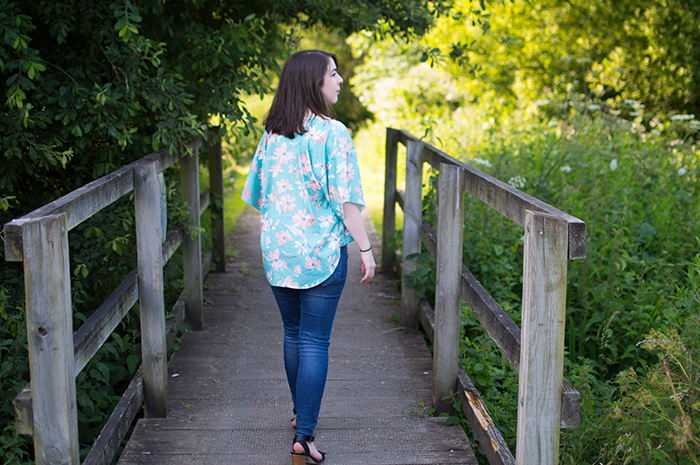 I wanted my kimono to sit just below my bum so mine measured 54cm wide by 70cm long. 2) Fold your fabric in half and cut out a rectangle along the fold that's half the width of the measurements you just came up with. 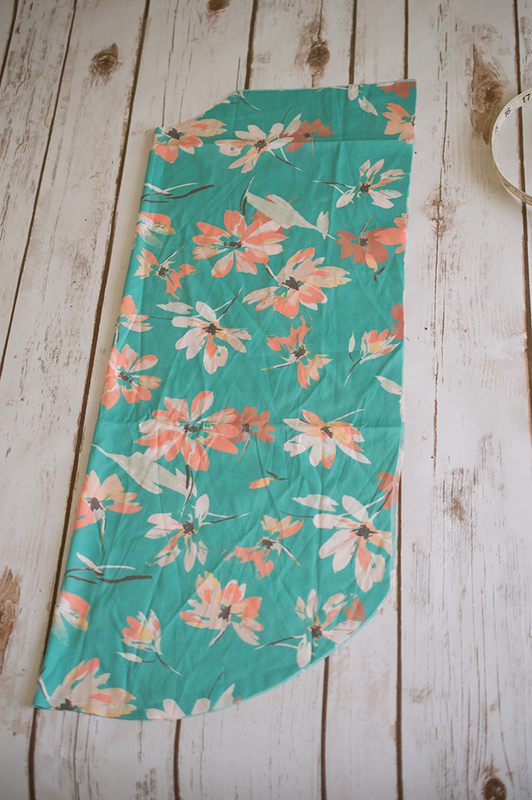 This will give you the back piece of your kimono. I've done this using pins as markers but you can also make a paper pattern if that makes you more comfortable. 3) With your fabric still folded, cut out a small hole in the top left-hand corner and a curve in the bottom right-hand corner, as shown in the picture below. 4) Unfold your back piece, and measure the distance between the beginning of the neckline and the edge of the fabric. Then measure from the top of the fabric to where the fabric starts to curve. This will give you the dimensions for your two front pieces of fabric. Mine measure 19cm wide x 58.5cm long. 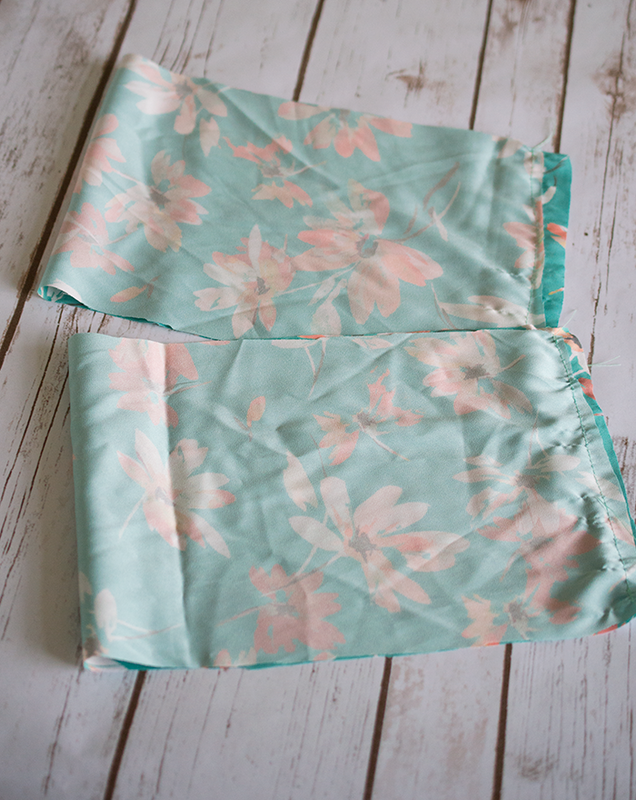 Cut two of these pieces out from your fabric. 5) Lastly, cut two rectangles that will make up your sleeves. The get these measurements, measure around your bicep and add about 30cm for the length and then you're going to want your sleeves to be around 20cm wide. Therefore, my sleeve pieces measure 20cm wide x 57cm long. 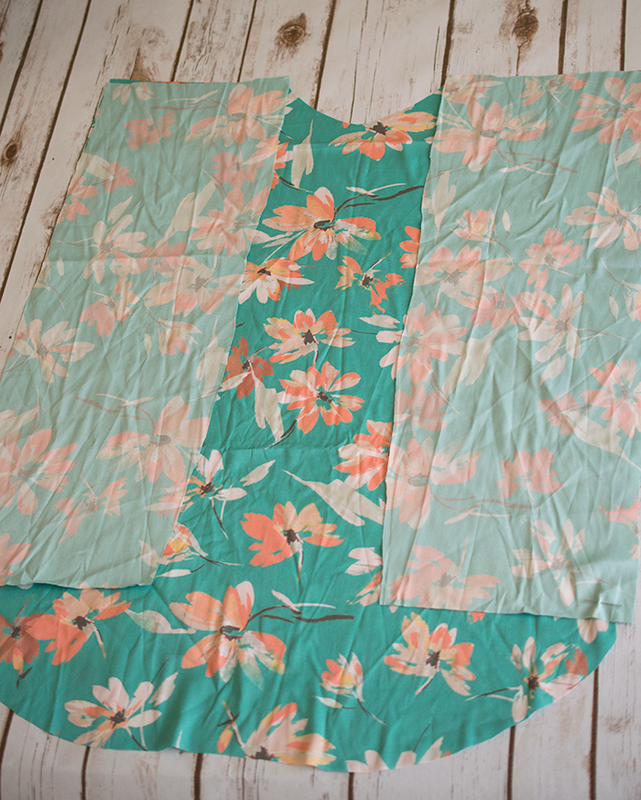 6) Place your back piece on a flat surface with your pattern facing up and then place your two front pieces pattern down on either outside edge of the back piece as in the picture below. 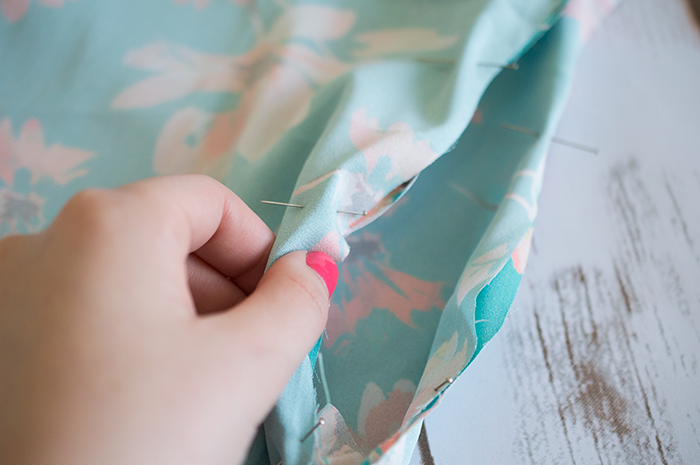 Pin them together and then sew along the shoulder seams and then along the two side seams making sure to leave a gap for your sleeves. Your gap should be half of the width of your sleeves, therefore my gap was 28.5cm long. 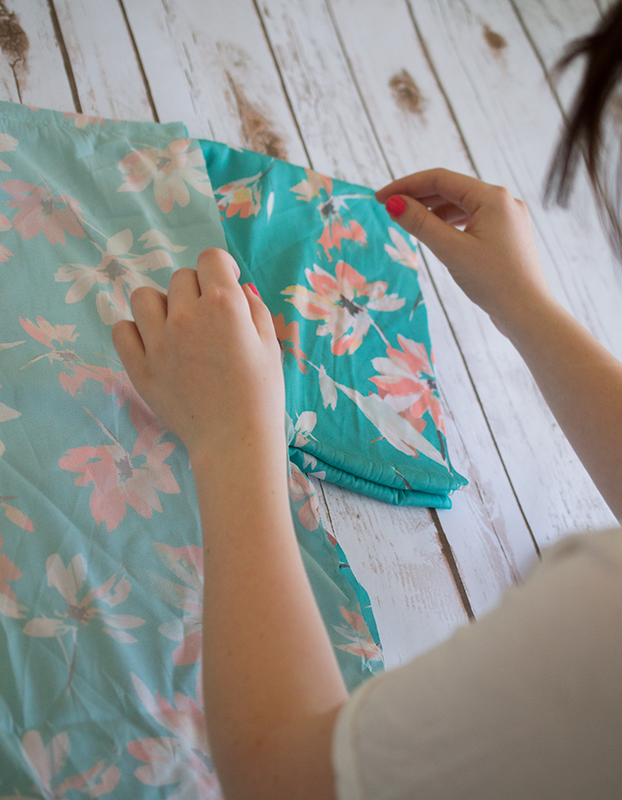 7) To create your sleeves, fold each sleeve right side together and then sew the seam together. Now fold your sleeves right way out. 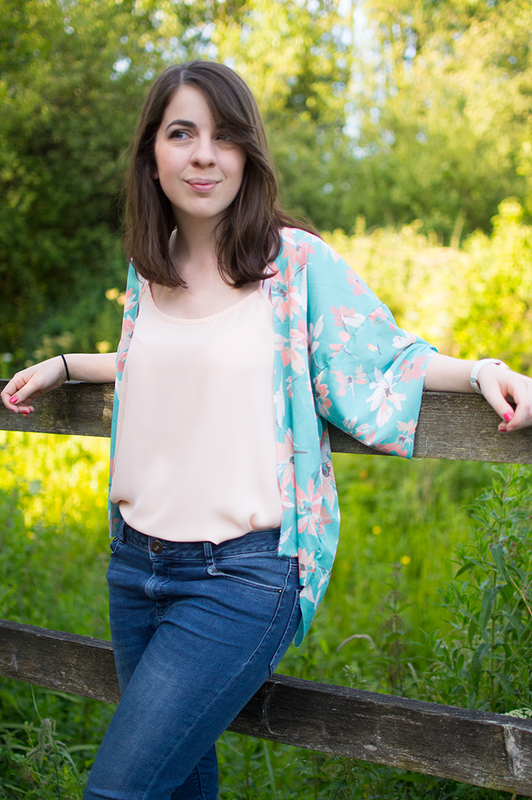 8) Slide your sleeve into the holes on your kimono with the seam positioned at the bottom. Pin them both into place and sew them into place. 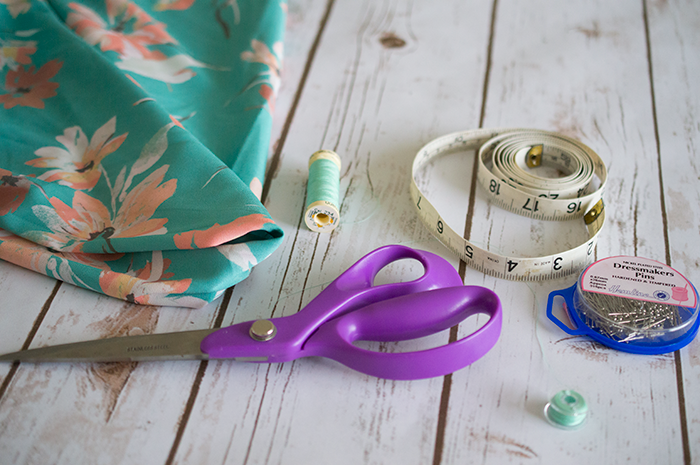 9) To create a neater garment, if you have a rolled hem foot for your sewing machine, use this around all the rough edges of your garment to create a thin hem. 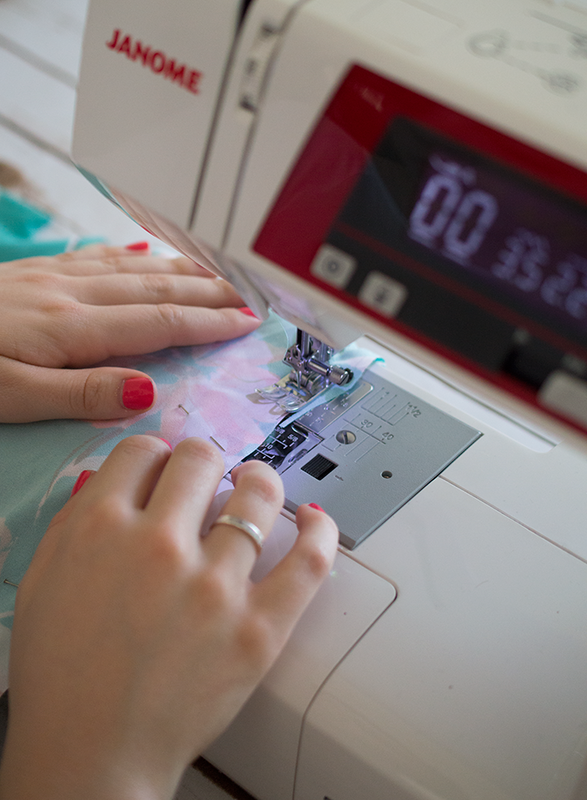 Alternatively, you can fold over the edges by 0.5cm, press them and then sew them down, or even overlock the edges if your lucky enough to have an overlocker. 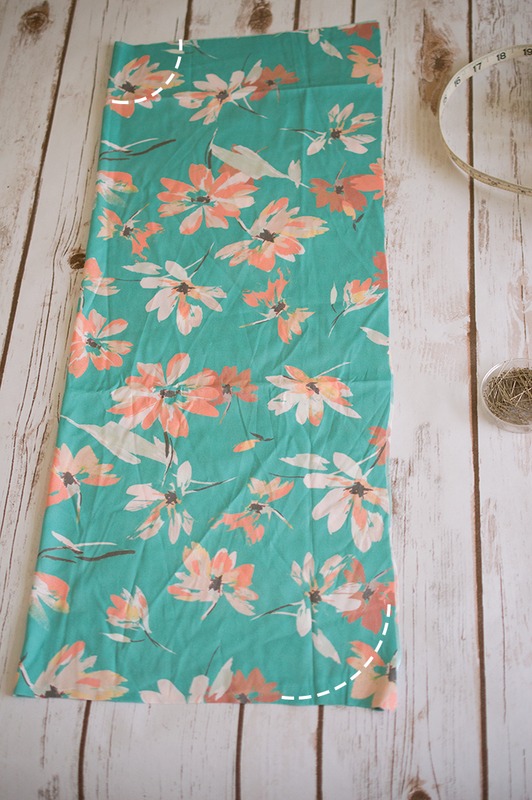 10) Give it a good press with the iron and it's ready to wear!